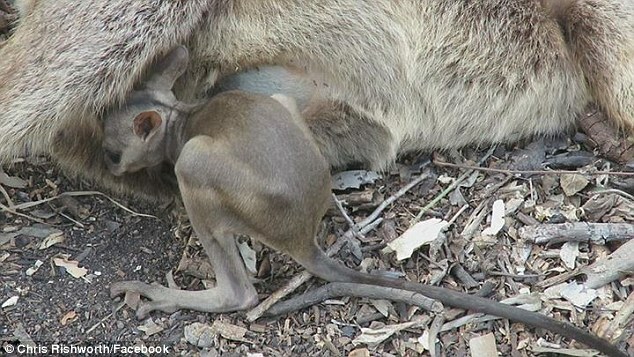 A helpless baby rock wallaby has been filmed trying to pry its way into its dead mother's pouch, as she lies decomposing on the side of road, crawling with ants. The joey was spotted by travelling cyclist, Chris Rishworth, at Magnetic Island - an island and suburb of Townsville in north Queensland. Mr Rishworth noticed the heartbreaking interaction, and placed the joey into the basket of his bike, taking her to the local wildlife rescue shelter. 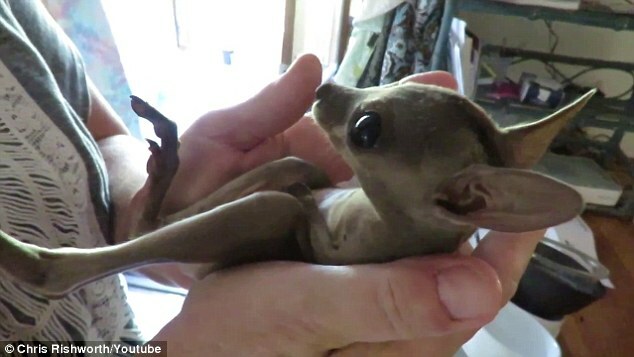 Baby wallabies can die very easily from stress. Thankfully, this precious little marsupial was taken care of quickly, and is expected to make a full recovery and integration back into the wild when it grows older. Brought to the Wallaby Refuge on Magnetic Island, the owner said she was 'fine physically but a very frightened little girl', and would be receiving a lot of tender loving care to help her recover. 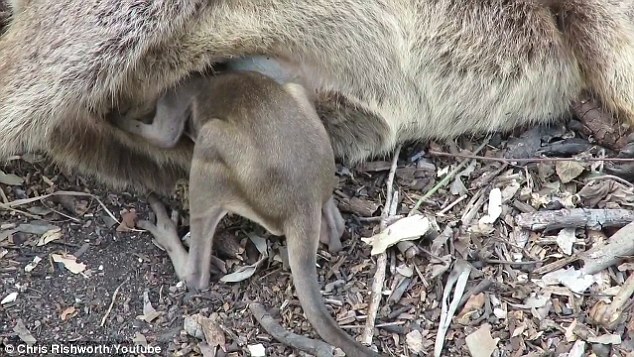 Responses to "Heartbreaking moment baby rock wallaby tries to climb into its dead mother's pouch"